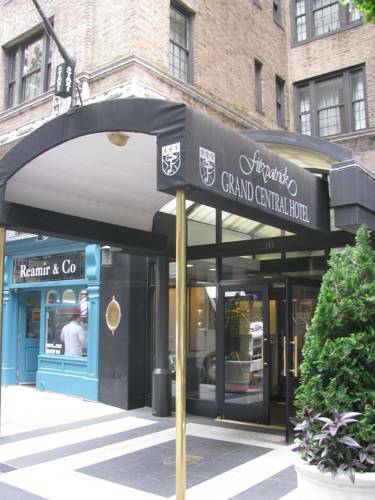 Fitzpatrick Grand Central is an unpretentious and up market, four-star Irish owned and managed hotel, located in Manhattan's fashionable east side and convenient to shopping, corporate headquarters (Pfizer, TIAA-CREF), United Nations, theatres, restaurants, and nightlife. Known for our personalized service and Irish hospitality with an American accent, The Fitzpatrick Hotel is the perfect hotel for business or leisure. The hotel's 155 bedrooms include a number of beautiful Courtyard and Penthouse suites, featuring canopied beds and a wide range of amenities including high speed wireless internet access, two line telephone with voice mail, data port, in room movies, coffee maker with complimentary tea and coffee, trouser press, iron and ironing board, plush terrycloth bathrobes, hairdryer, mini refrigerator and personal safe. Other hotel services include 24 hour concierge and room service, valet service, limousine and nightly turn down upon request. The friendly attentive staff creates and atmosphere more typical of a family-run Irish country inn than a big-city hotel with the best and most authentic Irish breakfast this side of Dublin.